Atul C. Dubal CFP received his professional designation of Certified Financial Planner™ (CFP®) from the College for Financial Planning in Denver. The Financial Planning Association (FPA) is the membership organization for the financial planning community. Its members, CFP professionals like me, are dedicated to using the financial planning process to serve the financial needs of individuals, families, and businesses and to help them achieve their goals and dreams. Atul has also been a qualified member of the prestigious organization, the Million Dollar Round Table (MDRT). MDRT is an association of life insurance and financial services advisors. My goal is to help others achieve their retirement goals and to make sure that their important retirement funds are safe and secure. Atul is married and blessed with two wonderful kids. Meditation, Reading, Movies & White-Water Rafting are a few of my hobbies. David Albin believes that life is a series of great adventures – which are lived to their fullest when you have properly planned their funding. And so, helping you create financial solutions that bring you the greatest combinations of safety, asset value, growth and access to funds for a lifetime of full living is always our goal. All of our programs take into account your situations, goals, and special concerns or needs so that you wind up with cash when you need it for now, for the great events in your life, for your retirement and for your family’s future. David provides solutions from some of the world’s finest financial institutions, holds a degree in Economics from UCLA, and is insurance licensed in Arizona, California, Colorado, and Nevada. David Katz, is president and founder of Katz Capital Management, one of the nation’s premier financial services companies. His unique planning techniques have enabled him to educate hundreds of clients over the last 19 years. 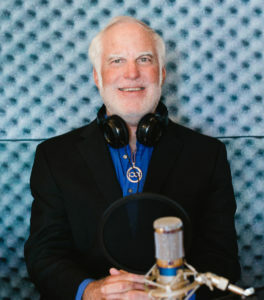 “Focusing on the universe of conservative investment options, I aim to customize an investment strategy that is capable of delivering solid rates of returns for each individual or family I work together with.” David’s passion is to educate the public on financial mistakes that many stockbrokers convince the public to make with their money. David is a member of the prestigious Million Dollar Round Table (MDRT.) Founded in 1927, MDRT is the premier association of financial professionals. 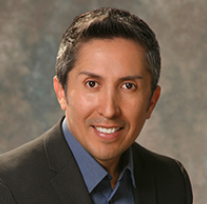 Gary Ybarra is a CFF (Certified Financial Fiduciary ®) and as one of the Managing Partners of Gemlife Financial, Gary is focused on helping clients work toward their retirement goals through a well-thought-out strategy for retirement income, preservation, and legacy. Gary enjoys helping people protect their retirement money and create guaranteed income for life. He is specifically skilled in retirement income planning, asset protection, and tax minimization strategies. Gary is a member of National Association of Certified Fiduciaries® (NACFF), the National Association of Insurance and Financial Advisors (NAIFA) and of his local Chamber of Commerce in Pasadena Ca. Gary enjoys spending time with friends and family, playing golf and attending sporting events and contributes regularly to local and national non-profit works. Jim Junge’s career in the financial services industry has spanned nearly 20 years, with an emphasis in the Federal Market since 2009. His primary focus is in retirement income planning and structuring one’s federal benefits to decrease expenses and maximize income for the future. 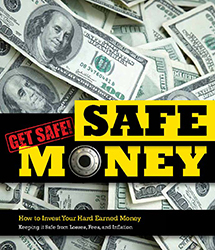 As a speaker and published author on a variety of retirement income topics, both for the private sector and for federal employees, Jim stresses the importance of financial education through his writings and the seminars he offers. At the core of his philosophy and business approach is the belief that “retirement money should not be put at risk…nor does it have to be to get what you need”. Jim founded Benefit Services Group in 2006 to offer a variety of financial service products to his clients. He is A+ rated with the Better Business Bureau and takes great pride in his availability and service to all his customers. Prior to his insurance work, Jim owned a thriving real estate construction and development company in the Bay Area for 22 years. Jim is a graduate of UCLA and holds a Master’s Degree from the College of Notre Dame. He resides in Folsom, California with his wife Carol, and also Meridian, Idaho. Dr. Michael A. Mason is a native Californian has been Life insurance licensed in California becoming an independent specialist in senior estate and retirement planning with a focus on keeping his clients’ money safe and secure from loss through fixed annuities. He has helped thousands of California seniors keep and grow their funds for retirement. Since 2001 Dr. Mason has lived in Marina Del Rey where he maintains a healthy, active lifestyle. Michael is a proud member of the National Ethics Association since 2009. The NEA is devoted to aiding consumers with the increasingly complex task of conducting due diligence on business professionals. This results in greater peace of mind for skeptical consumers and also rewards those worthy of their trust. 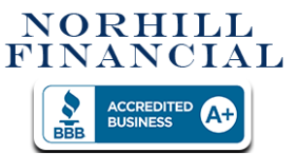 Micheal Holt has been assisting clients for over 20 years to protect their assets, construct smart investment plans, and create lifelong income. Mr. Holt has helped clients move their retirement plans and savings into products which offer more protection of their principal and still provide for growth of their assets. Among his clientele are retirees, families, employees and officers of several Fortune 100 companies and small business owners. Michael has extensive training with all types of money and accounts including “qualified” savings accounts such as IRA’s, 401(k)’s, 403(b) plans, TSP, and pension plans. Micheal is a founding senior partner with Lifestyle Income Strategies and offers free educational sessions to retirees on a weekly basis. Some of the more popular topics include annuities, life insurance, creating lifelong income streams, alternative investments, tax reduction and avoidance strategies, and how to protect and preserve your retirement savings. 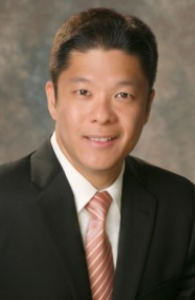 For the past 20 years, Stephen Ting has been helping many people across the nation plan for their retirement. 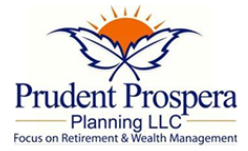 He is a Safe Money and Retirement Specialist focused on growing and protecting retirement assets as well as creating guaranteed incomes for life. As an Advisor and Trainer in the financial services industry, Stephen advocates taking a methodical and holistic approach to financial and retirement planning, and has conducted many public events on the topic of wealth preservation, generating reliable retirement income, and efficiently creating a legacy. Stephen has worked with large agencies and organizations in the past, but now feels the best way to serve his clients’ best interest is to do so as an independent advisor. His passion is to continue to find the best possible solutions to meet his clients’ retirement goals and dreams. 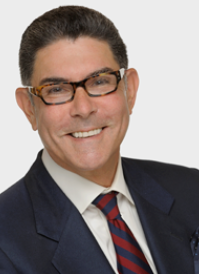 Warren Elkin is the experienced advocate you’re searching for. For Warren Elkin, protecting people’s money is personal. He watched his own parents lose their life savings to fast-talking, three piece suit wearing brokers. The experience was his inspiration for how he approaches investments and client relationships. Warren prides himself on having a personal relationship with each client. He’ll know your name, your goals and keep you updated on your investment. 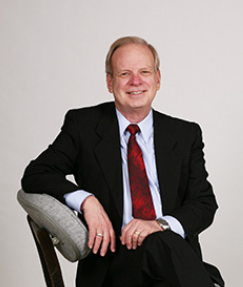 Warren has over 35 years of successful financial planning experience. When you work with Warren, you only work with Warren! You won’t be pushed off to someone’s assistant.